Welcome to the Cornish Art Gallery, here you can view exclusive paintings by Cornish artist Andrew Giddens. Cornish art is unique. Cornwall has a long history of artists that have been fascinated by the beauty of the Cornish coast, and the quality of the light. The wild Atlantic ocean has shaped the coastline in to a mix of rugged cliffs, headlands and sheltered coves. When lit up by the sun, especially throughout the winter months, they dazzle with majestic beauty. 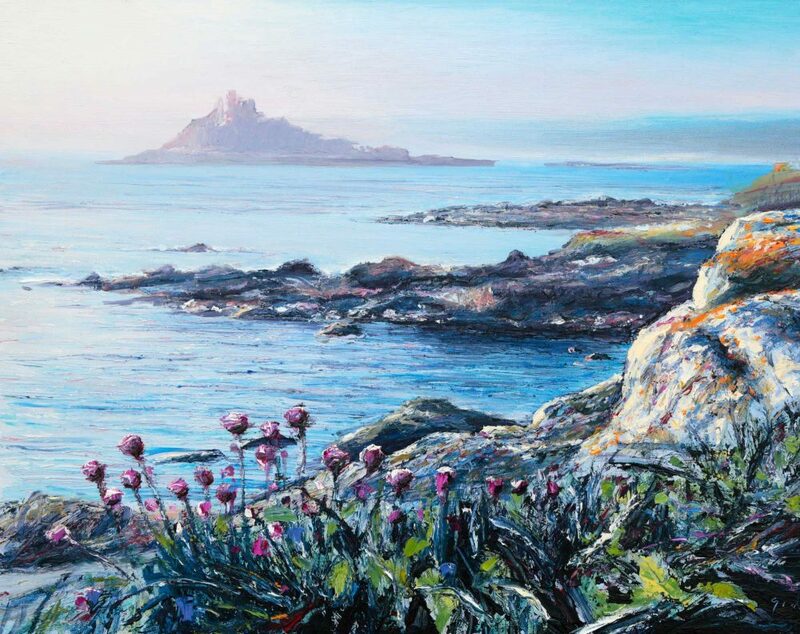 So inspiring are the combination of these elements that for many years Cornish artists have been drawn to these shores to express an inner awe. A cry of wonder sounding through their chosen medium, be it stone, wood, paint or clay. Cornish art has a reputation for capturing that raw elemental voice of the human soul that many feel when faced with overpowering visual stimuli, those moments when we glimpse a wider perspective of our lives and the world around us. It is this underlying passion that runs through the veins of the most successful Cornish art, and sets it apart from the norm, touching something at the very core of our humanity….